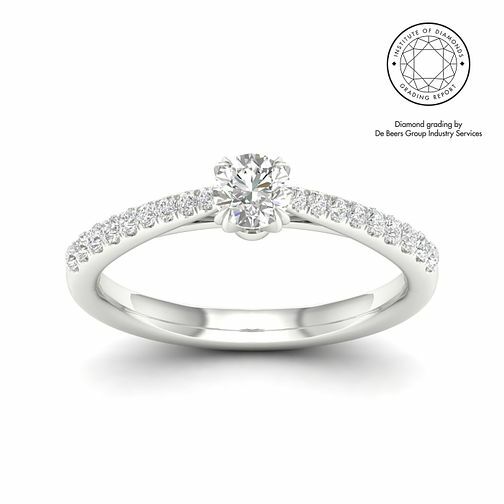 Elegantly crafted from 18ct white gold, this classic solitaire diamond ring presents a contemporary twist with a platinum 4-claw setting, offering more security for the dazzling diamond. 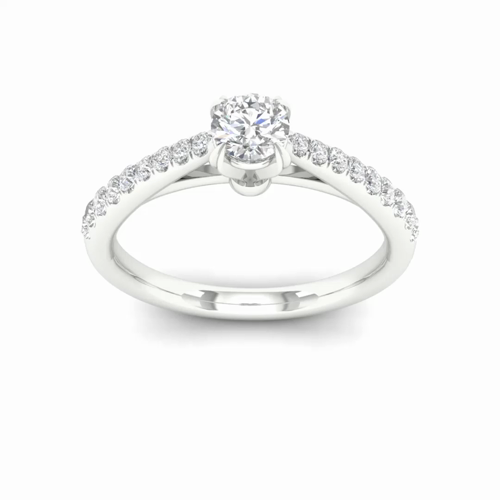 The sparkle is carried onto the shoulders, with more shimmering stones set for sumptuous elegance, each certified by De Beers Group for colour and I2 clarity. The total diamond weight of this ring is 0.50ct.